Xtreme Carbon knows that triathletes and time trialists are real cyclists and have specific performance requirements that are not designed for in a set of road wheels. These needs are increased aerodynamic performance by decreasing the aerodynamic drag, the maximization of angular momentum, and straight line performance are real issues for these disciplines. Road wheels are designed for riding in bunches or pelotons, so the aero performance of road wheels is negated. Road wheels are designed to achieve a minimum weight for a rider weighing approximately 85kg, so aero performance of the wheels is not critical to designers as 95% of riding situations will be in a bunch or peloton. When it comes to wheels Xtreme Carbon’s end goal is simply to make them as fast as possible. While some wheel manufacturers believe that it is the rim design that makes for a fast wheel, Xtreme Carbon believes that you must look at the whole wheel as an aerodynamic system if a wheel is to be truly fast. A detailed understanding of aerodynamics and airflow drives Xtreme Carbon designers to think different when it comes to the aerodynamic performance of the whole bicycle wheel. Traditional aerodynamics theory is currently being eclipsed by the innovative research into fan blade aerodynamics and it is this research that is included in the Xtreme Carbon ‘Aero’ hub and axle system. The ‘Aero’ hub and axle system is at the heart of pushing the boundaries of mechanical design to achieve an aerodynamic advantage. The enemy of any cycling athlete is aerodynamic drag and the largest factor that contributes to aerodynamic drag is the frontal area of the rider, bike and wheel system. At Xtreme Carbon our passion is fast, and the simplest method of achieving fast wheels is to reduce the frontal area of the bicycle wheel. 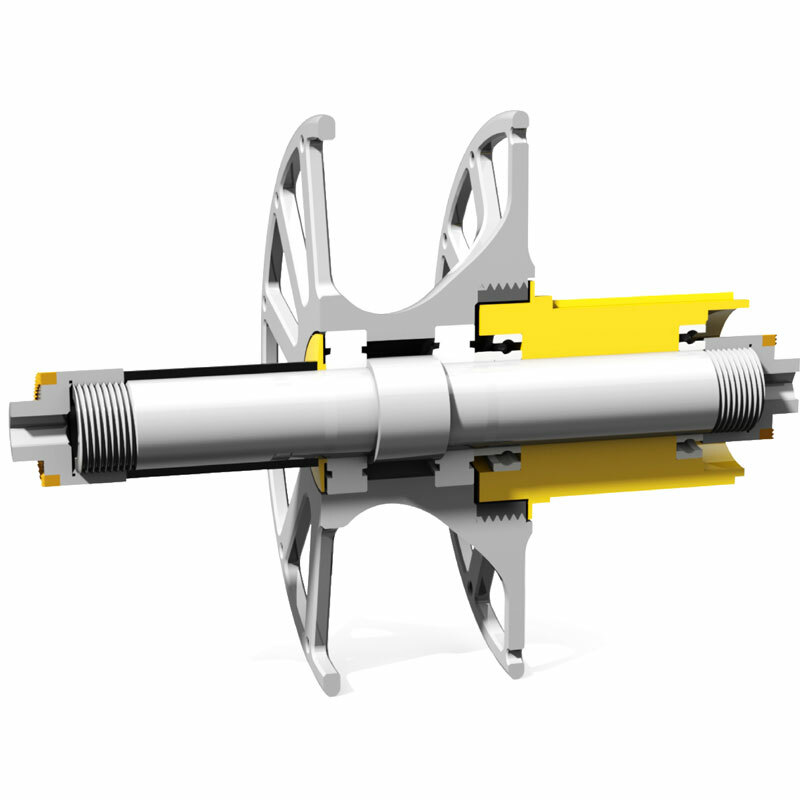 Our ‘Aero’ hub and axle system allows wheels to be built that achieve a reduction in frontal area of 60% over existing wheels. This means that triathletes and time trialists using Xtreme Carbon wheels can experience a reduction in the drag force of a wheel of 60%, other factors being constant. The aerodynamic drag force equation is highly dependent on the frontal area variable and it is this variable that the designers and engineers at Xtreme Carbon have discovered that contributes to the majority of calculated drag force experienced by a bicycle wheel. Our ‘Aero’ hub and axle system is the new frontier of mechanical/aerodynamic advantage. Any reduction in frontal area of a bicycle wheel reduces the aerodynamic drag force as encountered by the bicycle wheel system as it moves through the air. This reduction of aerodynamic drag can be calculated using the drag force equation. Wind tunnel research and testing have shown that the Coefficient of drag in terms of order of magnitude varies insignificantly for different wheels having various frontal areas. The density of air also varies insignificantly under normal conditions of use in the case of a bicycle. The calculated drag force of the bicycle wheel, however, is directly proportional to the frontal area of the bicycle wheel. Reducing the frontal area of the bicycle wheel (refer table below, which shows calculated frontal area of a bicycle wheel for various flange separations) will result in a significant reduction of the aerodynamic drag force experienced by the bicycle wheel, which is quantifiable via the drag force equation table . The 23mm tyre is the standard choice for nearly every cyclist. Tyre manufacturers have a large range of 23C tyres for all triathletes and time trialists, however, there is a movement being led by triathletes towards a 25mm tyre. Current research has shown that under normal riding conditions on roads generally experienced throughout the world, there is no measurable change in rolling resistance in upsizing to a 25mm tyre. The benefits of a 25mm tyre are a more comfortable ride and a larger rubber footprint which translates into more stable handling. Anecdotal evidence also predicts that the wider tyre allows for a better frontal pressure profile and hence airflow in the detailed region of the tyre and rim interface. At Xtreme Carbon we will be offering a 23mm rim in both carbon/alloy and full carbon clincher and we will also be offering a 25mm full carbon clincher in our race grade wheels. All said, wider rim profiles improve aerodynamics, increase the tyre contact patch for better cornering grip, decrease rolling resistance, and allows the wheel to be more comfortably ridden at a lower tyre pressure. Xtreme Carbon has discovered that the traditional design model of the bicycle wheel as used by all manufacturers (the simplified truss model using 3D vector analysis) is flawed and erroneous because of the assumptions that this traditional model uses. Xtreme Carbon have discovered a more realistic and exact structural analysis model of bicycle wheels based upon our ‘Aero’ hub and axle system. This revolutionary analysis allows Xtreme Carbon designers and engineers to reduce the frontal area of the bicycle wheel while maintaining lateral stiffness at levels that respond to normal riding conditions. Lateral stiffness of the bicycle wheel is dependent upon numerous design variables such as depth of rim, rim material, spoke length, spoke count, spoke lacing and spoke tension. At Xtreme Carbon our engineers have undertaken correlation analysis to determine the effect of each wheel variable in terms of its impact on wheel design and lateral stiffness. This allows our engineers to tweak the variables so that a maximal value of stiffness results for our wheel designs. 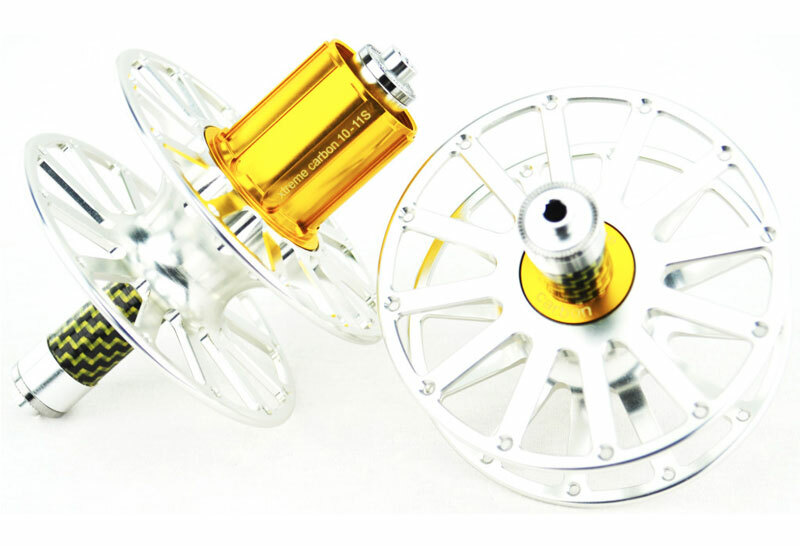 The hub and axle system is the mechanical heart of any race wheel, and when designed and engineered to the highest standards like our “patent pending – (PCT/AU2016/050002)” Aero hubs, the rider is guaranteed to have a race wheel package that has a measurable reduction in aerodynamic drag under all riding conditions. The attention to detail of our ‘Aero’ hub and axle system is evidenced by the detailed engineering and machining in Australia to aerospace standards. The ‘Aero’ has been designed to achieve the greatest aerodynamic advantage for any race wheel package. 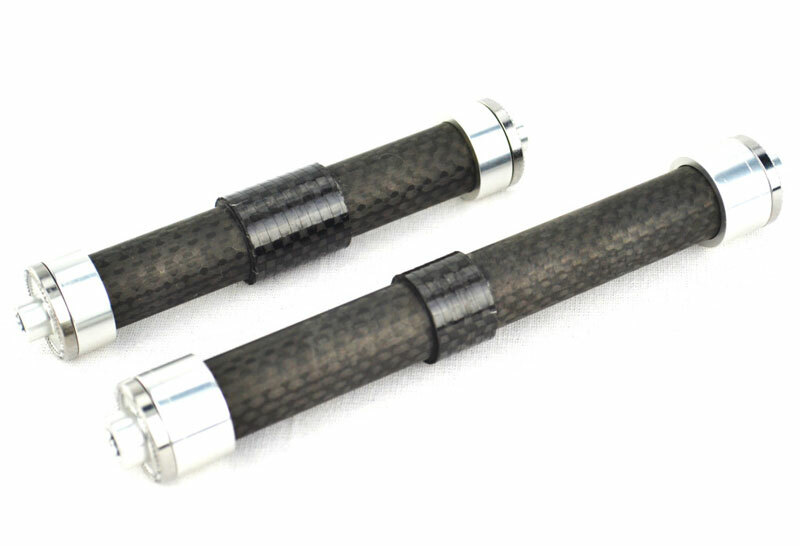 Xtreme Carbon has also developed the first commercially available full carbon fibre axle that is available as standard in our Race grade and Weapons grade wheels. 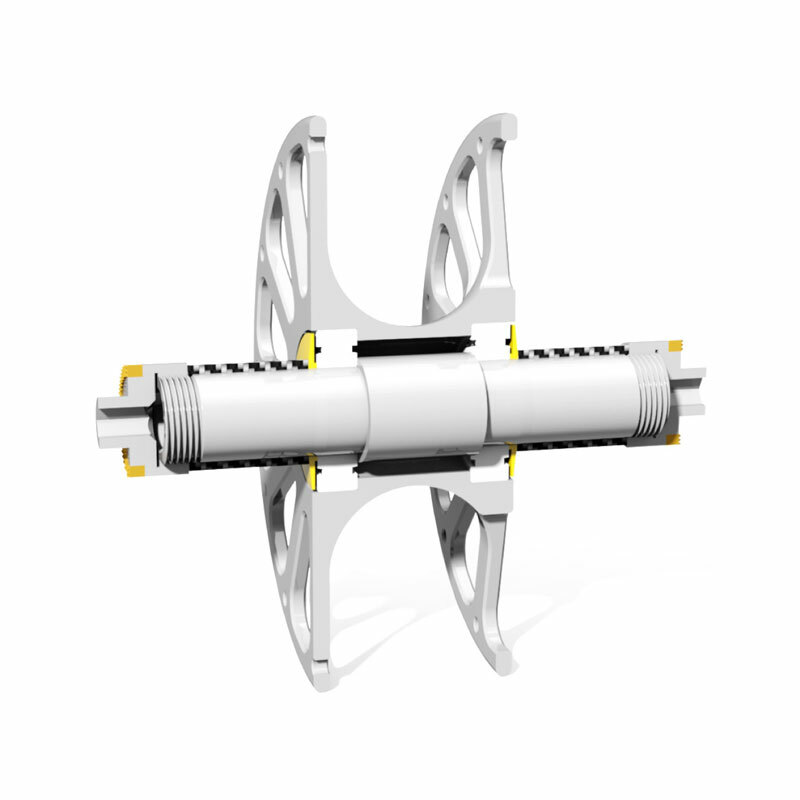 The hub and axle system is designed to maximize the aerodynamic advantage of a race wheel as well as being structurally stiff enough to handle a rider producing 500 watts of continuous power at the rear wheel and 2500 watts of instantaneous power if the cyclists ever has to sprint for the finish line. 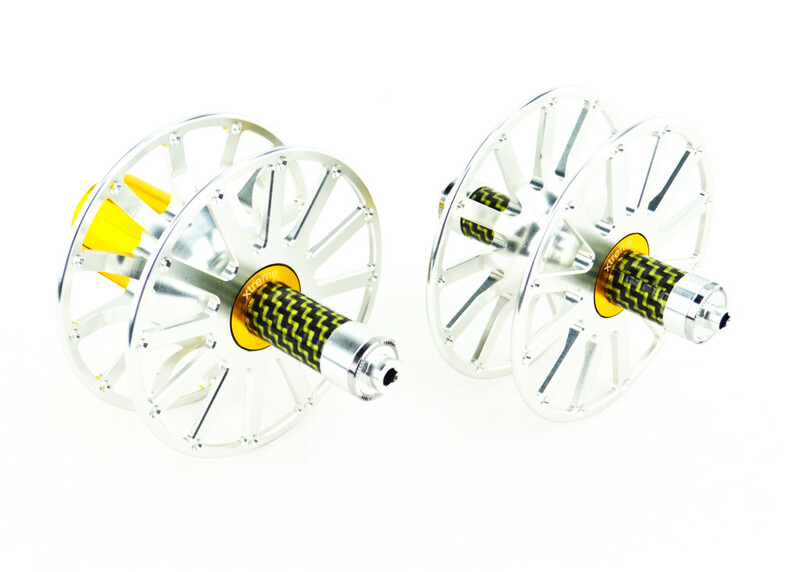 The Race grade wheels include the first commercially available carbon fibre axle that has been designed to handle not only the structural loads generated, but also the vibration and fatigue loading that an axle faces during normal riding conditions. The Weapons grade wheels are the first wheels to include a full carbon fibre hub shell and axle. So Xtreme Carbon designers and engineers are determined to keep pushing the boundaries in terms of the use of aerospace technology and materials in our Aero hub and axle system.